Today, Tuesday 23 April, Erik Petersson (Professor at the Swedish University of Agricultural Sciences) will give a seminar titled “Effect of cormorant predation on fish populations – a meta-analysis”. The seminar will be held at 13:15 in room 5D306 at Karlstad University. Everyone that wants to are welcome to attend the seminar. Anna Hagelin’s PhD thesis nailed at the main entrance at Karlstad University. 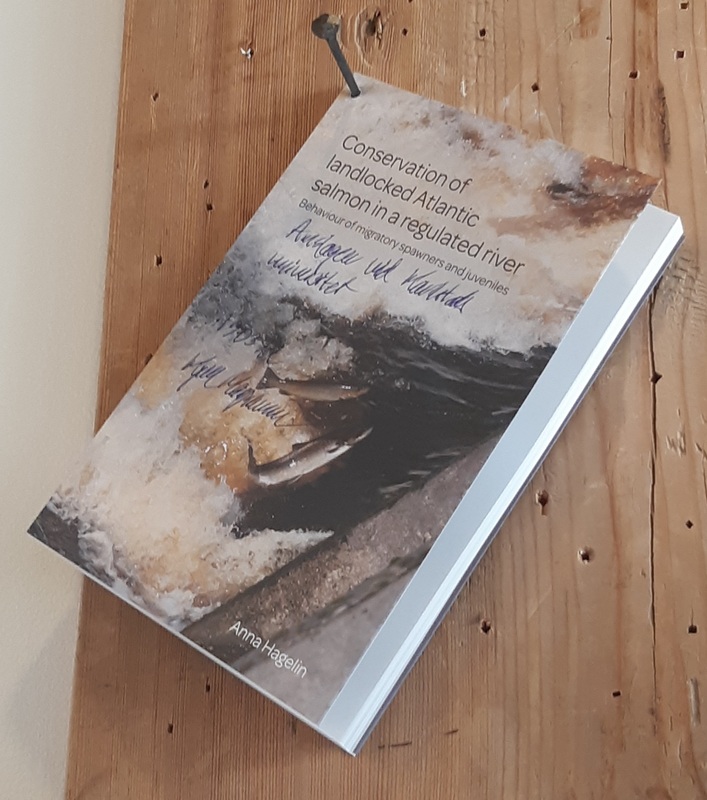 On Friday 12 April, Anna Hagelin will defend her PhD-thesis “Conservation of landlocked Atlantic salmon in a regulated river – Behaviour of migratory spawners and juveniles”. The defense will take place at 10:00 in room 1B309 (Sjöströmssalen) at Karlstad University. Everyone is welcome to attend the defense. Ian Fleming (Memorial University of Newfoundland (Canada) will be the opponent and Jaakko Erkinaro (Natural Resources Institute, Finland), Eva Thorstad (Norwegian institute for Nature Research, Norway) and John Armstrong (Marine Scotland Science Freshwater Fisheries Laboratory, Scotland) constitute the grading committee. Anna Hagelin nailed her thesis at the biology department at Karlstad University on Friday 22 March. 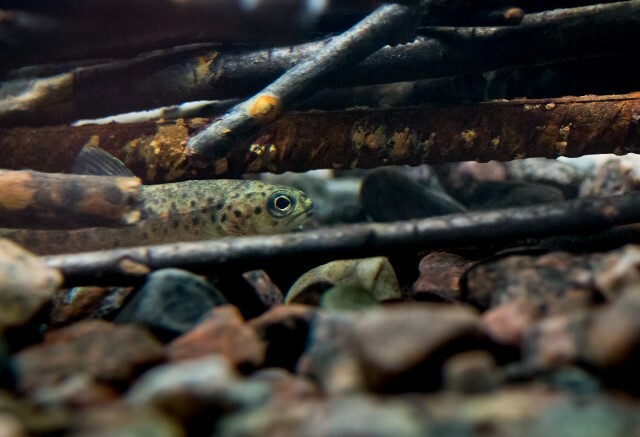 A juvenile brown trout (Salmo trutta) hiding in fine stream wood. Read the paper here, or contact any of the authors. Dirk Hattermann, Markus Bernhardt-Römermann, Annette Otte and Lutz Eckstein recently published the paper “Geese are overlooked dispersal vectors for vascular plants in archipelago environments” in Journal of Vegetation Science. (i) What proportion of the local species pool is dispersed by geese?. 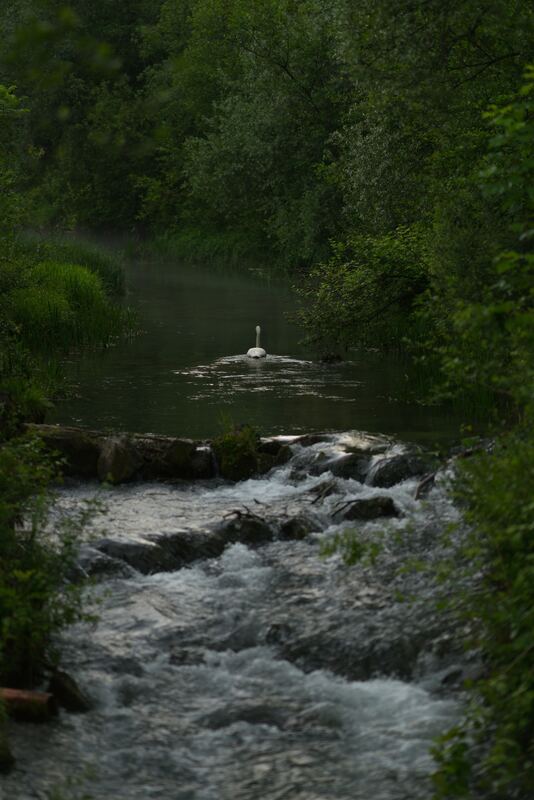 (ii) Which plant traits characterize species dispersed by geese?. (iii) Which plant communities are likely to benefit from endozoochory by geese?. Goose droppings were collected on 45 islands. Plants germinating from the droppings represent the endozoochorous species pool (ESP). 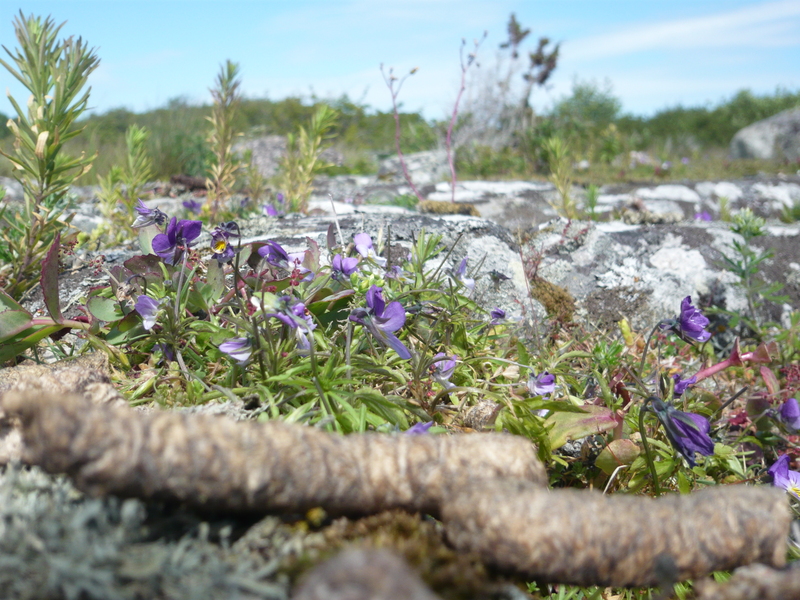 On 108 islands, the presence of vascular plants was recorded in each habitat. These species represent the island species pool (ISP). Differences in functional traits between ESP and ISP were expressed as effect sizes and tested using meta‐regressions. Using indicator species analyses and indicator species for managed semi‐natural grasslands, we identified the primary habitats of the ESP. Geese dispersed viable diaspores of 97 plant species, which represents 22% of the ISP. 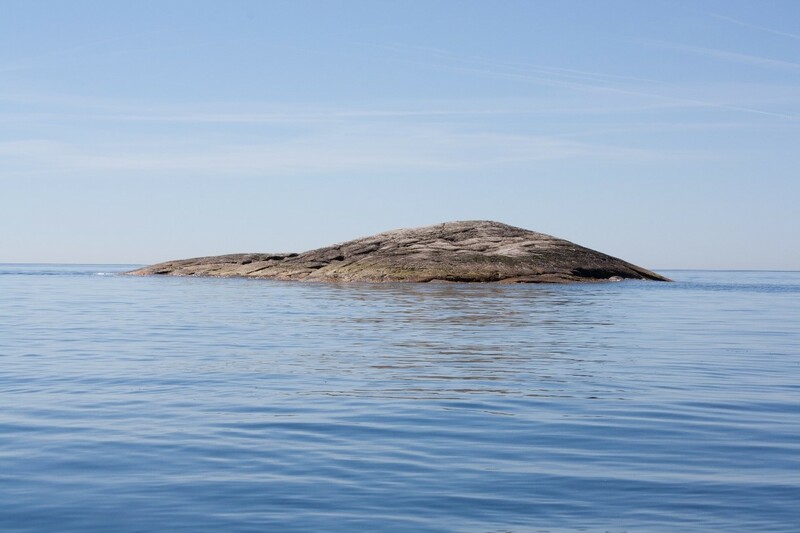 Most ESP species were typical for small islands. Geese dispersed a higher proportion of graminoids and less woody plants, higher proportions of chamaephytes and therophytes and less phanerophytes; annuals and bi‐annuals were significantly overrepresented. One average, seed volume of the ESP was 95 % smaller than that of the ISP. About 51% of all ESP species were dispersed in at least two archipelagos. Geese showed a bias towards species of rocky shore habitats. Access the paper here, or contact any of the authors. På fredag 15 mars kommer Ola Nordblom från DHI (som arbetar med vattenmiljöer, med tonvikt på avancerad tillämpning av beräkningsmodeller) till Karlstads universitet. Klockan 11:00 kommer det att vara ett öppet diskussionsseminarium, där (1) Ola presenterar DHIs verksamhet och hur ekologisk forskning kan vara av intresse för deras framtida projekt, och (2) forskargruppen NRRV presenterar sina forskningsområden och framtida behov av samarbeten kring modellering. Seminariet kommer hållas i rum 5F416. Forskare, doktorander och studenter är välkomna! On 12 March (tomorrow) Eva Bergman, NRRV Professor, will give a seminar titled “Improvement and evaluation of connectivity and habitat quality for sustainable hydropower”. The seminar begins at 13:15 in room 5F416 at Karlstad University. Everyone is welcome to attend the seminar. 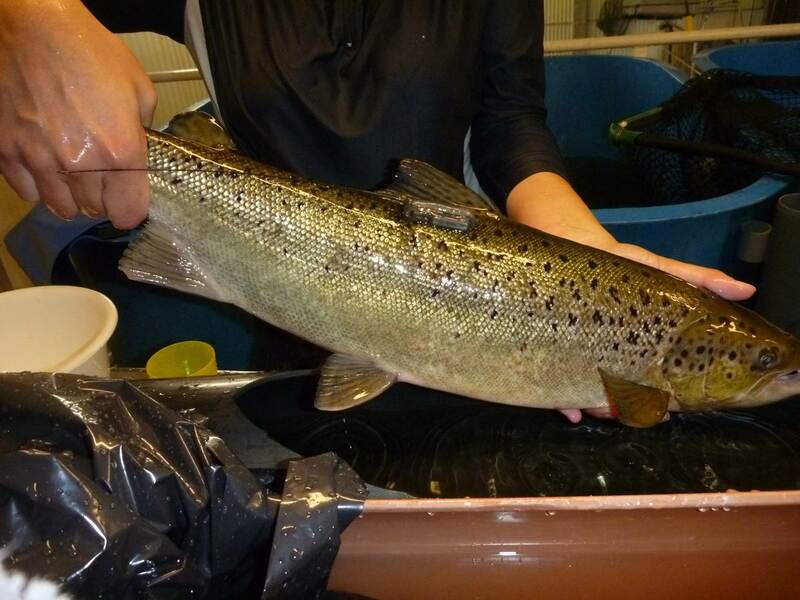 On Tuesday 5 March (tomorrow) Anna Hagelin, PhD student at Karlstad University, will give a pre-dissertation talk titled “Conservation of landlocked Atlantic salmon in a regulated river: behaviour of migratory spawners and juveniles”. The seminar starts at 13:15 in room 5F416. Everyone is welcome to attend the seminar. Anna will defend her doctoral thesis on 12 April at 10:00 in room 1B309 at Karlstad University. More information will come closer to the dissertation. Two papers from NRRV were recently published in the journal Animal Conservation. 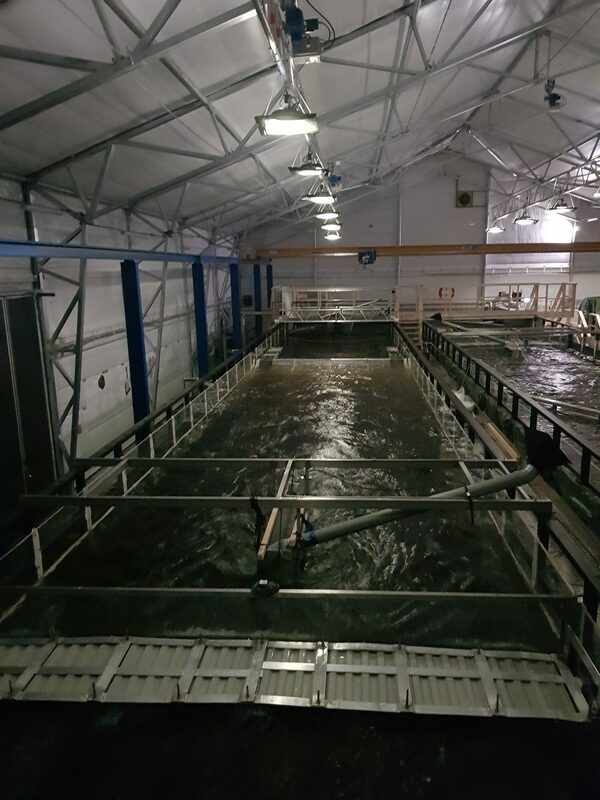 The first paper presents a field study on how sedimentation affects brown trout (Salmo trutta) fry emergence in relation to freshwater pearl mussel (Margaritifera margaritifera) recruitment. 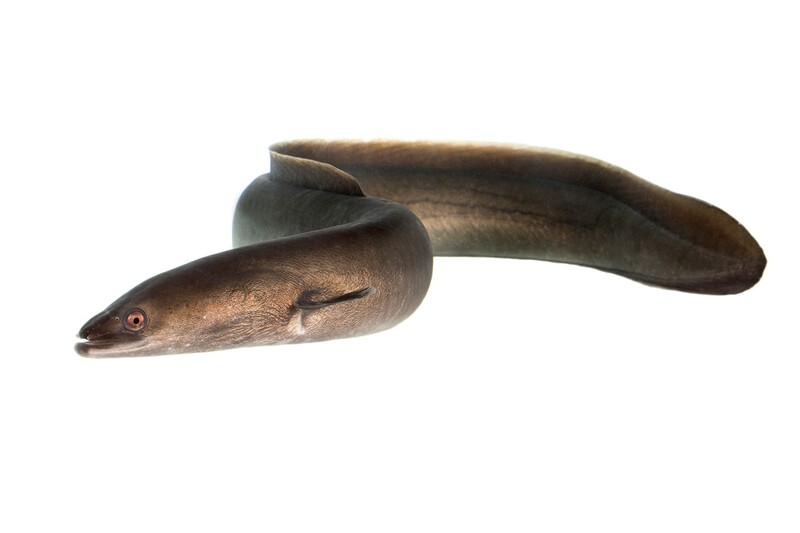 The second paper presents a combined field and laboratory study on passage solutions for upstream-migrating eels (Anguilla anguilla). Access the paper here, or contact the author. A PhD position in biology (community and food web ecology) is now open for application at Karlstad University. The project will focus on evaluating the ability of forested buffer strips to maintain cross boundaries fluxes between streams and riparian ecosystems. 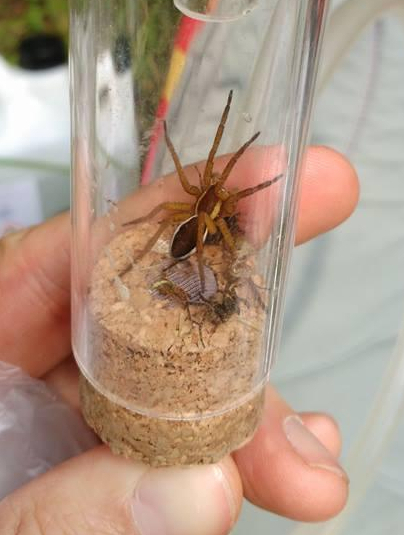 The aim of the PhD project is to (i) analyse the link between riparian forest buffer width and functional diversity of riparian predator communities, (ii) define optimal buffer zones for conservation of riparian ecosystem functions, based on food web complexity and ecological niches (using stable isotopes) and (iii) use DNA-barcoding to study variation in prey preference with varying buffer width and test stable isotopes as a tool to assess riparian ecosystem functions in forestry affected landscapes. The position is full time for four years but may be extended if department duties such as teaching (maximum 20 % of a full-time position) are included. Last application date is 14 March 2019. Read more and apply for the position here! Europeisk ål, Anguilla anguilla. Foto: Jörgen Wiklund. Under senhösten 2018 har forskare från NRRV undersökt två olika typer av låglutande galler (vinkel mot strömriktningen = 30°) och dess effekt på nedströmsvandrande ål (Anguilla anguilla). Studien har utförts i Vattenfalls nya strömränna ”Laxelleratorn” som genom sina mått (24 meter lång, 4 meter bred och 2 meter djup) är i paritet med en intagskanal till ett litet vattenkraftverk. Bakgrunden tll studien är den stora minskningen av ålbeståndet som har skett sedan mitten av 1900-talet och som lett till att ålen numer är klassad som en akut hotad art (sedan 2005). En av orsakerna tros vara den höga mortaliteten för blankål vid nedströmspassage i anslutning till vattenkraftverk, där framförallt passage genom turbinerna ger låga överlevnadschanser. 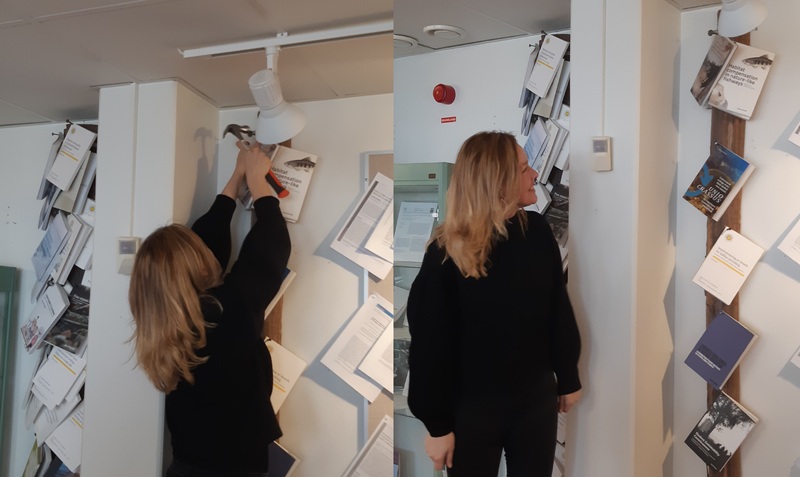 För att hindra ålen att passera genom turbinerna eller andra passager med hög mortalitet kan, istället för ett konventionellt intagsgaller, ett låglutande galler (< 30° mot strömriktning) installeras. Dessa leder fisken mot en flyktöppning som leder till en säkrare passage, till exempel en fiskväg eller en fälla, och en återställning av vattendragets konnektivitet. Ett exempel där ett låglutande galler finns installerat är Hertingforsen i Ätran där goda resultat uppnåtts för flera arter (Calles m.fl.). 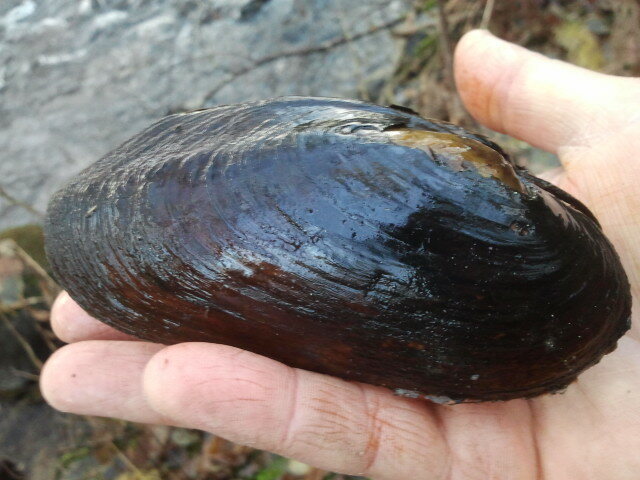 Totalt märktes 80 ålar (medellängd ± 1 standardavvikelse (SD) = 845 ± 74 mm) med PIT-tags och släpptes ut i strömrännan där de endera fick möta ett α-galler (avleder fisk från botten mot ytan) eller ett β-galler (avleder fisken från ena sidan till den andra). Dessutom testades för vardera galler två olika spaltvidder: 15 och 30 millimeter. De huvudsakliga parametrarna som undersöktes var avledningseffektivitet för respektive gallerkonfiguration och tiden den tog för ålen att passera. Resultatet analyseras i nuläget men de preliminära resultaten tyder generellt på en god avledande förmåga. Rapporten planeras vara klar under våren 2019. 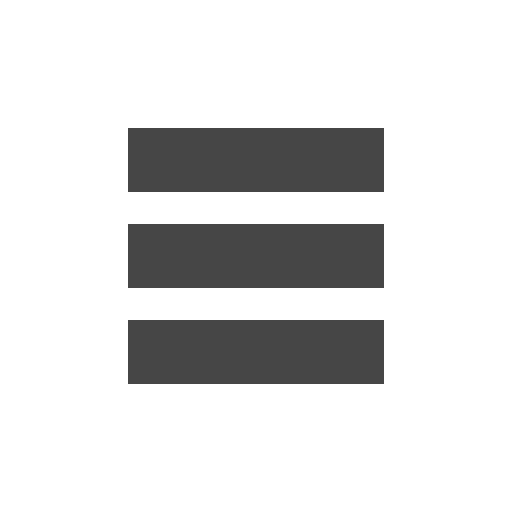 … is a research group associated to the subject of Biology and the Department of Environmental and Life Sciences at Karlstad University, Sweden. The group conducts both basic and applied research on human impact on river ecosystems, and how this impact can be minimized. 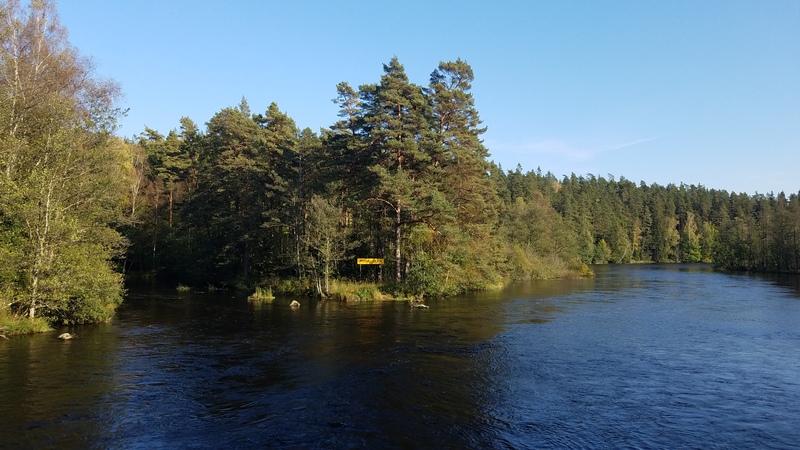 NRRV is the Swedish abbreviation for naturresurs rinnande vatten, in English the group is called the River Ecology and Management research group (RivEM).